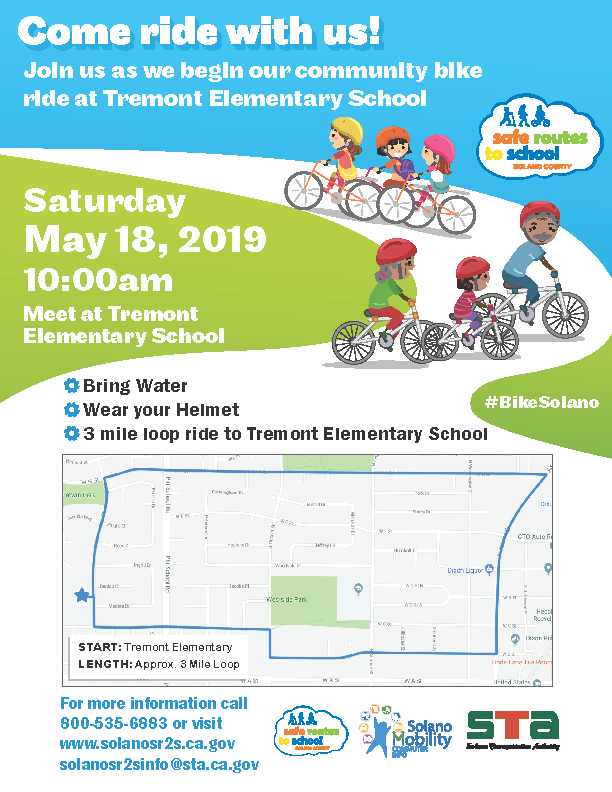 Join Safe Routes to School and Solano Mobility staff as we launch Bike Month Events at the Fairfield Farmer’s Market. Try the Blender Bike and make a smoothie with just your pedal power. 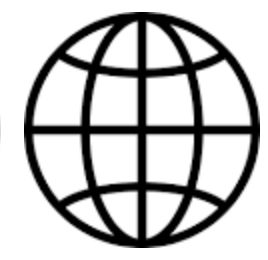 Join Suisun City VIPs and ride the Central County Bikeway and the McCoy Creek Bike Path to Hall Park. 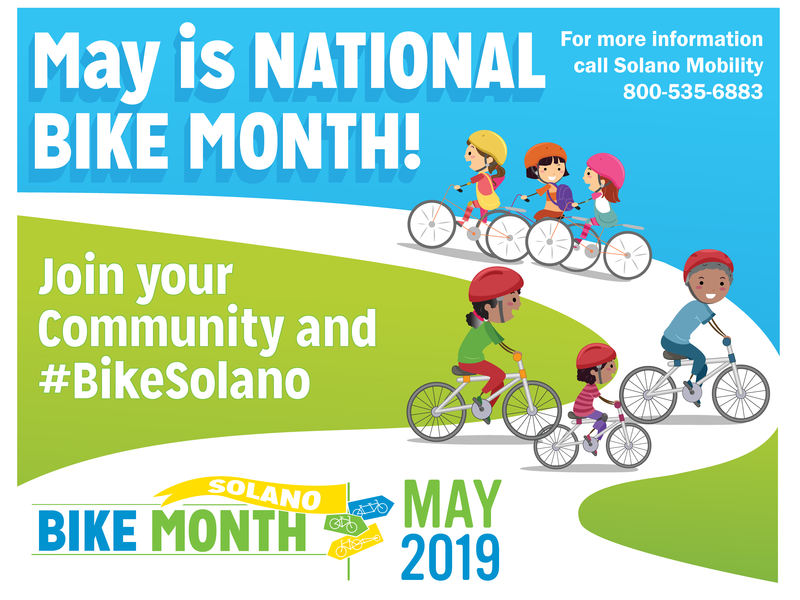 This easy ride is a perfect way to have your family #BikeSolano. 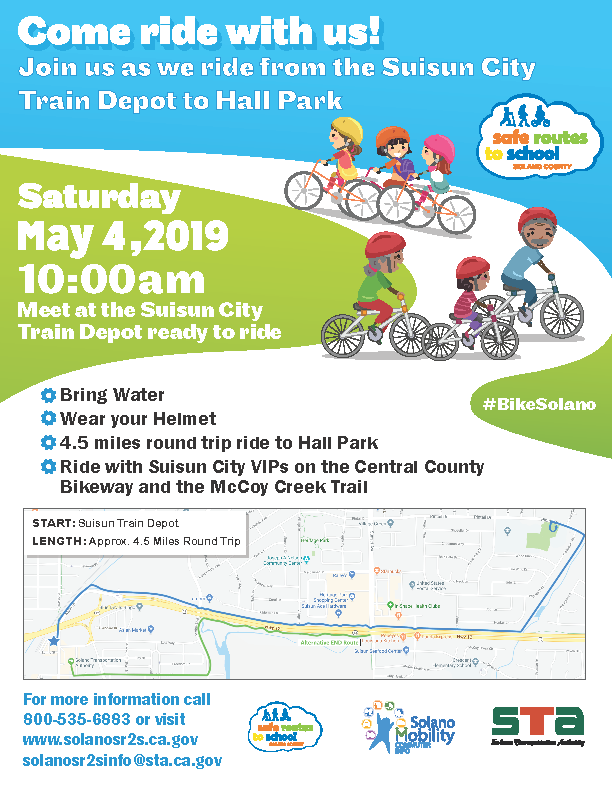 Meet at the Suisun City Train Depot with your bike helmets and be ready to ride. View the ride details here. 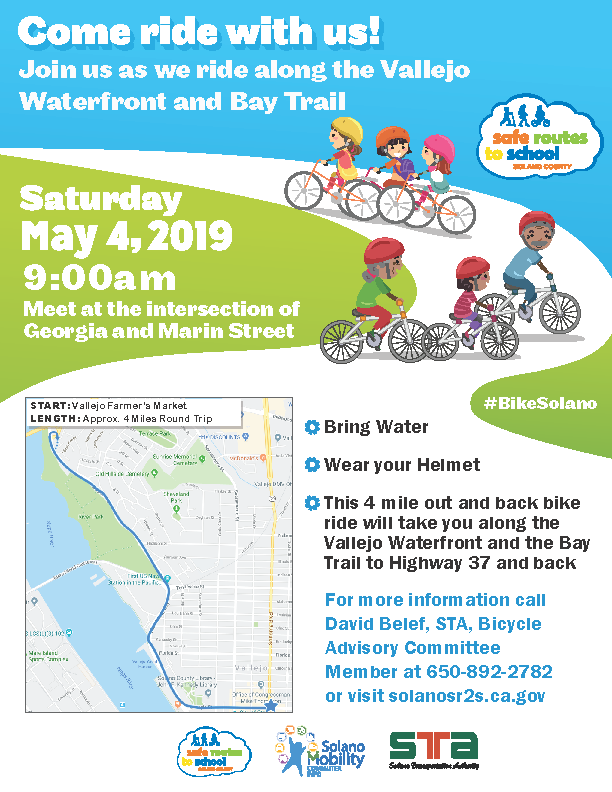 Meet at the intersection of Georgia and Marin with your bike and helmet and ride this 5 mile community ride along the Vallejo Waterfront and Bay Trail. View the ride details here. Choose from the 3 mile Community Ride, the Bridge to Bridge route, or the Lake Herman Loop. View the ride details here. 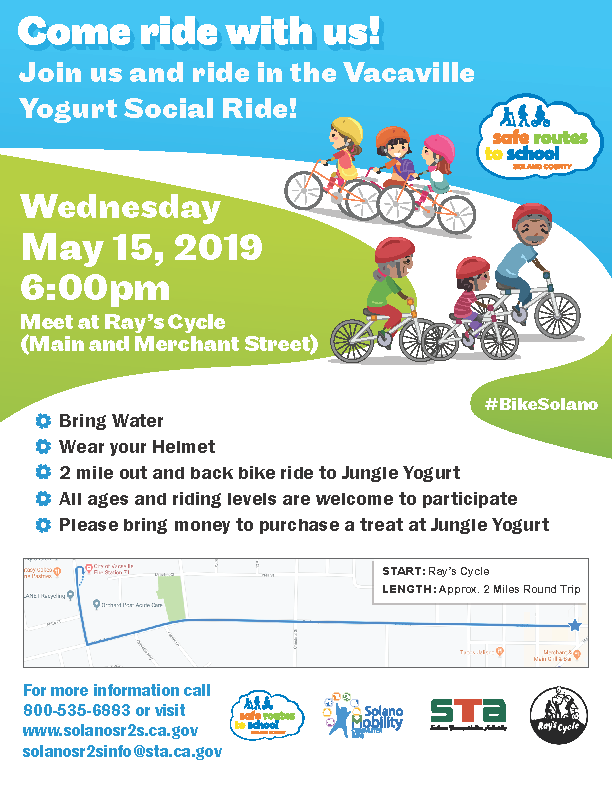 This 2 mile out and back ride will take you to Jungle Yogurt for a cool treat. View the ride details here. 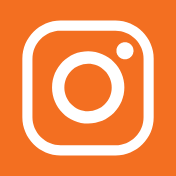 Use your pedal power to make a healthy smoothie, and learn about green commute alternatives to get to work or school. 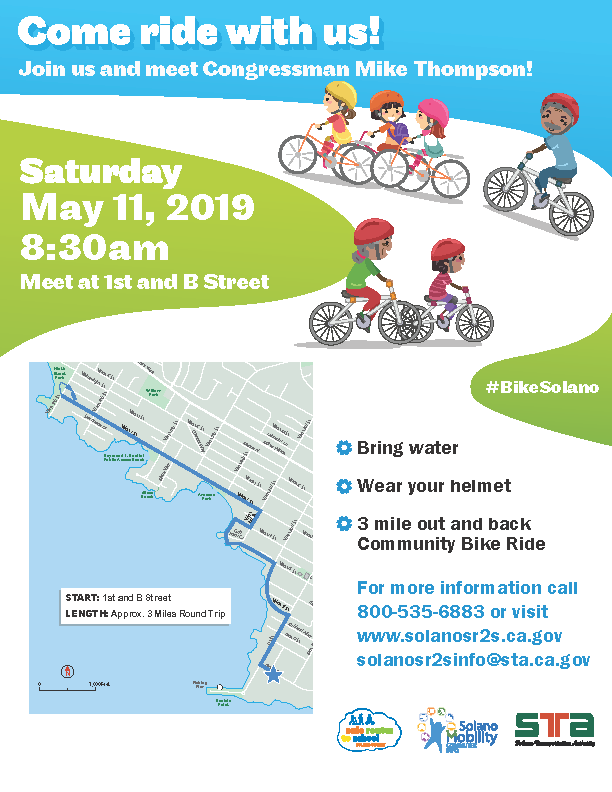 Ride this 3 mile loop route on Solano County’s only green bike lane. View ride details here. 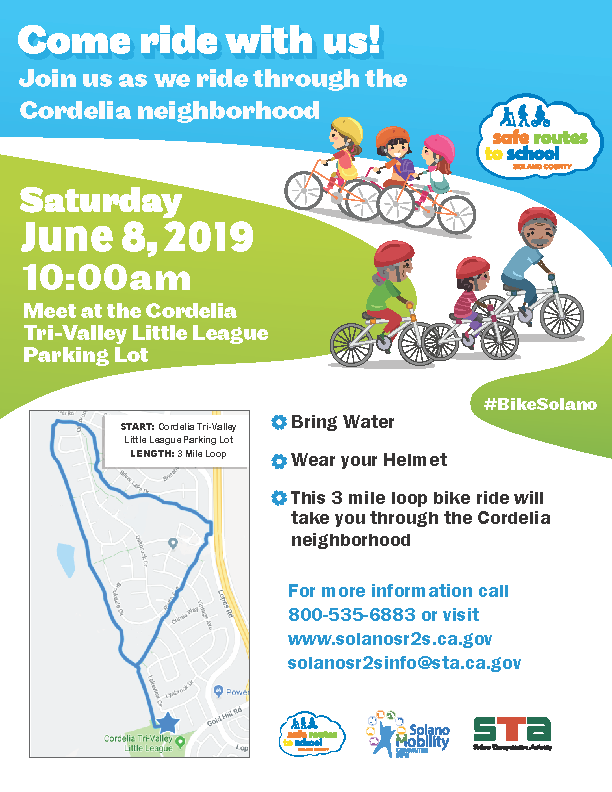 This 3 mile loop will wind through the Cordelia neighborhood on the bike path. View the ride details here.